Bathroom Remodel in Springfield - Castile Construction, Inc.
Bathroom Remodel Provided by Castile Construction, Inc.
Castile Construction is a local Bathroom Remodeling Contractor. 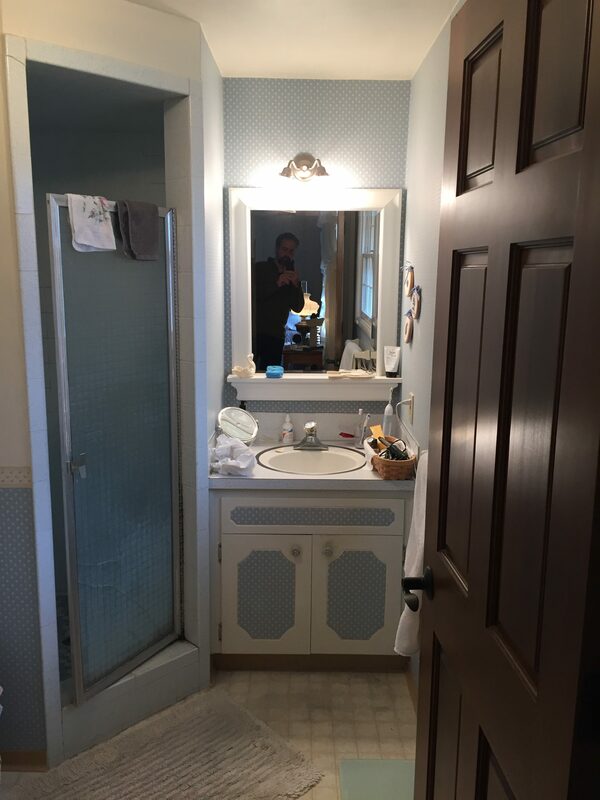 On this page we introduce a recent Springfield Bathroom Remodeling project we did. This bathroom design turned a cramped bathroom into a bright and airy space! 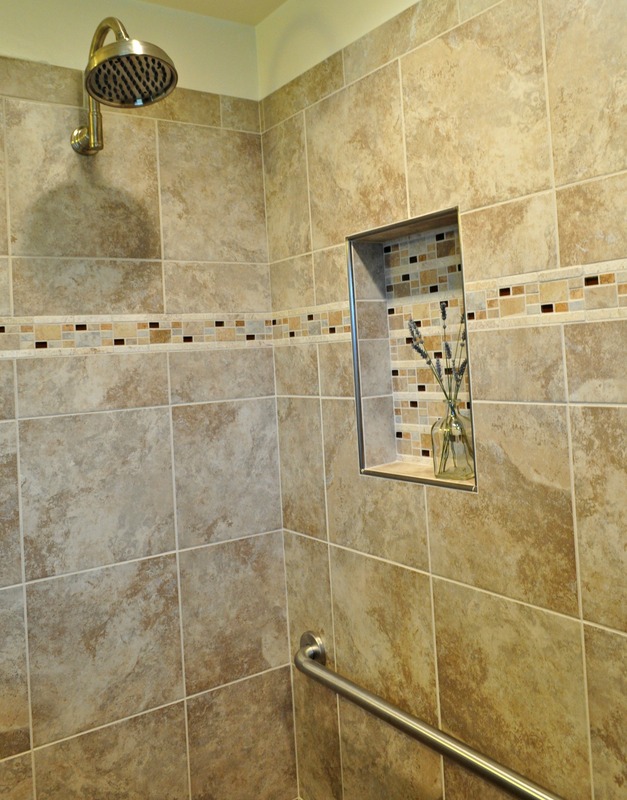 The stunning walk in shower was the home owners dream since their old shower was so dark and cramped. The use of a small vanity and a half glass partition wall leaves this small room feeling luxurious and spacious. Sometimes it is hard to imagine the finished product when you are starting out. 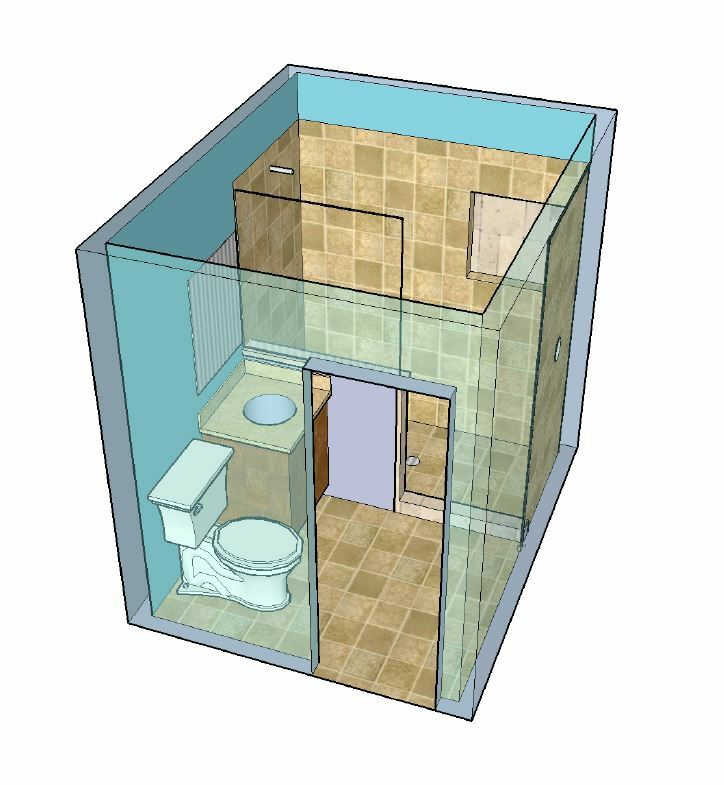 The images below show this remodeling process from before the project began, the sketch and design concept and the finished remodeled shower. Notice how open and bright this bathroom has now become. The neutral tile choice used on both the floor and shower walls keeps the design elements of this bathroom simple and doesn’t overwhelm you with too many colors or textures. 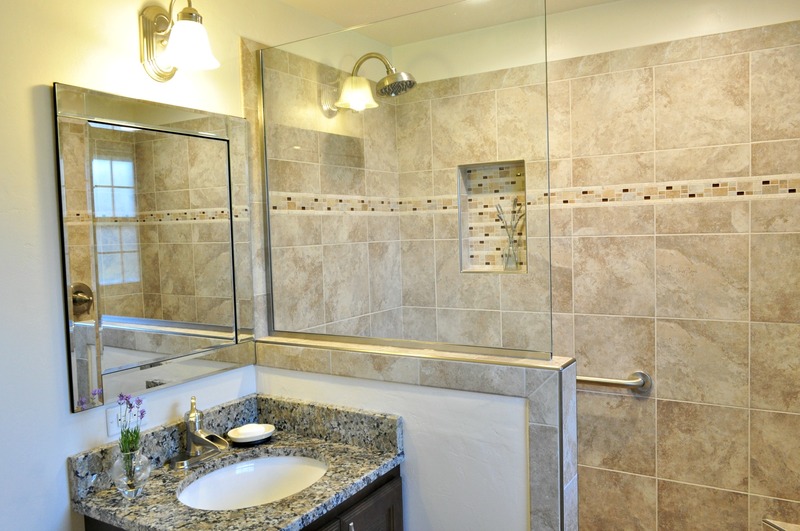 This newly remodeled shower area is about twice the size as their old shower with a bright and airy feel. the shower is accented with a small detail band. The same detail tiles are used in the back of the shower niche, notice the satin nickle trim around the nitch matching the rest of the bathrooms fixtures. With the shower being larger then their last the clients were able to have a custom toe bench added to the corner of their shower.